The last 15 months have been a huge, personal challenge for me on and off the water. From my perspective of a lifetime of pro-sailing, being part of the para-sailing family has been a life altering and inspiring experience. I am very proud to be working along side such an exceptional group of disabled athletes. I have had to learn how to master sailing a single handed boat, and with the help of many individuals and their time and dedication, I believe I have redefined my sailing skills enough to realize a dream to compete on the Olympic level and medal for the USA, in September. Moving forwards, I have put together a plan that will maximize my ability to compete. Based on all of the experience gained over the last 15 months, and our evaluation of the competition at this point, and projecting peak performance by the time September arrives. A little background – three years ago I was fortunate to work with Team NZL as their local knowledge coach in the 2013 America’s Cup held in San Francisco. Working with such a great team was eye opening, as well as a great learning experience on many levels. 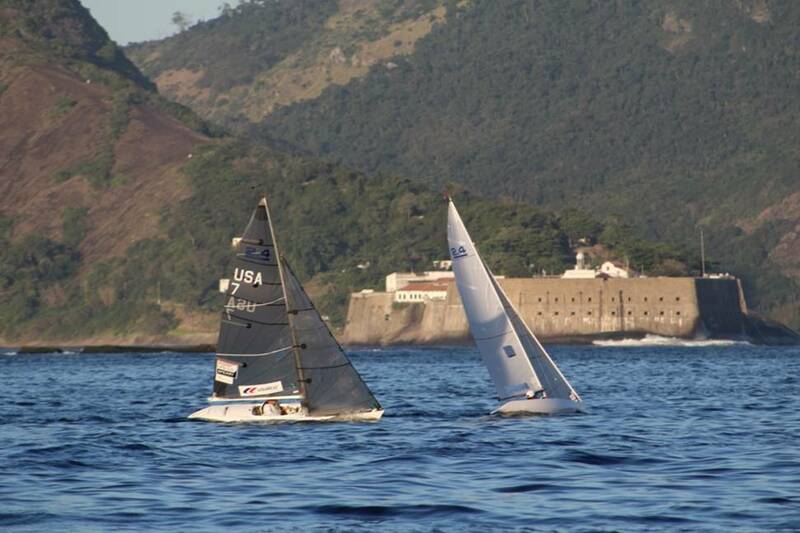 In Rio, one of my biggest challenges will be learning to sail on the Guanabara Bay in a very short period of time, just as Dean Barker and Ray Davies had to become comfortable navigating and sailing on the San Francisco Bay. Tides and fast-changing wind conditions had an enormous effect on every aspect of racing Team NZL’s America’s Cup catamaran. Fast forward to current conditions in Rio to my 2.4M that does approximately 4 knots upwind… The AC experience in San Francisco was key with the conception of our plan. No boat, large or small, no race can or should be approached without the proper training and plan to be successful. Coaching: Upon recommendation I brought on Brazilian Maru Urban for the Para Worlds, May 24-28, in Medemblik, Holland. Maru is the Sperry US Sailing Team Rio Olympic expert and is now my personal coach through the Paalympics. Fuzz Spanhake will continue to help me in the technical areas of boat speed. 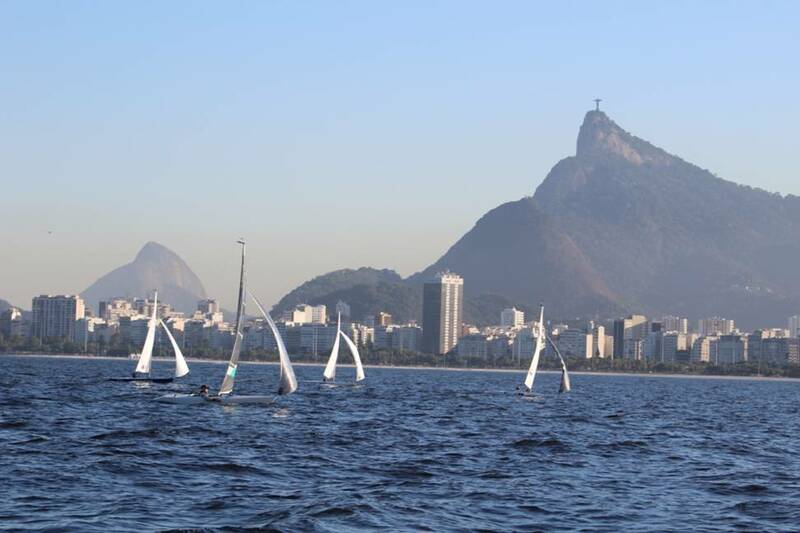 Onsite Sailing Time: We have to spend enough time in Rio to feel comfortable with each day’s weather and tidal situations. I also have to absorb as much local knowledge that Maru can teach me. My goal is to spend three weeks out of each month over the next three months training in Rio. I need to learn Rio like I know SF Bay. 2-Boat Testing: We have shipped two boats to Rio, Kanaloa and another training boat which is kindly on loan from Ted Green, of Newport RI. I depart Annapolis, MD on June 8th to begin testing new sails and a new mast on all the various race courses, with Maru as my training partner. In addition, Olympic medalist Jeff Madrigali will be joining me for 10 days in July to coach and practice-race with me. (flashback – Jeff coached Tom Brown to a 2.4 medal in Athens) While in Rio, as part of my training schedule we will be competing in a Para Regatta from June 15-21. 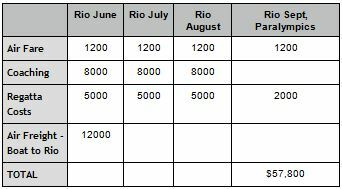 This should give us a measure of where I am in relation to the other 2.4M sailors on the expected Rio courses in September. Sail Program: Fernando Sallant is one of the best, small boat sail designers and has won many medals in his sailing career. He works at Quantum and is based out of Barcelona. We have already been working together over the past year, and the sails are getting really fast. He was in Medemblik to check out the latest designs, and I plan to bring him also to Rio to work on the final set of Olympic sails. Build-out Rio Rig: Ben Hall and I made huge advancements in rig design last Christmas. Prior to Medemblik, I drove to England to pick up a new tube from Super Spars. With knowledge gained over the last 6 months, we have designed a new taper, and I am very excited to test this rig in Rio. As you can see, I am working hard to cover all aspects of my campaign, and to be the very best I can be at that one winning moment. My journey has been exciting however not easy. It has morphed into a full time job. My sole focus, my main goal is to medal. Competing at this level is very expensive without a doubt. Your continued support, both financially and personally will allow me to work toward a lifetime achievement goal of mine for my sport, and to complete my mission to bring home an Olympic medal for my country, the USA in Rio of 2016.